Update: Sigma has now added US pricing for five of its new lenses. Sigma has confirmed pricing and availability for the seven Sony E-mount Art prime lenses that it announced earlier this year. 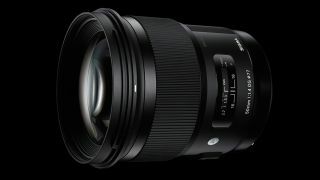 The 35mm F1.4 DG HSM | Art, 50mm F1.4 DG HSM | Art and 85mm F1.4 DG HSM | Art will be the first to arrive, with suggested retail prices of £799.99/$899, £749.99/$949 and £1199.99/$1199 respectively. All three models will start to become available in May. These will be followed in June by the 20mm F1.4 DG HSM | Art and 24mm F1.4 DG HSM | Art, at £859.99/$899 and £799.99/$849 respectively, before the July launch of the 14mm F1.8 DG HSM | Art at £1679.99 and 135mm F1.8 DG HSM | Art at £1,399.99. The new models, which are effectively Sony-mount versions of optics already available for other mounts, all have an imaging circle that satisfies the dimensions of Sony's full-frame sensors. This means that they can be used with models in the A7 and A9 lines, as well as APS-C models such as the A6500. Sigma states that although the lenses share optical design with the same-named lens developed for other mounts, these seven optics feature a "newly developed control algorithm that optimises the autofocus drive and maximises the data transmission speed." Additionally, the lenses are set to be compatible with Sony’s Continuous AF (AF-C) and high-speed autofocus.